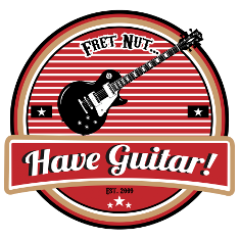 Les Paul Archives - Fret nut... Have Guitar! Ever seen one of those cheap Chibsons (China Gibson copy) and been tempted to buy one? Don’t. Have a look at this video to see what it takes fix one to a playable state instead. Well, even if you haven’t considered buying one it’s still worth watching. Actually it’s three videos but you know more is more. Cus Yngwie said so. Here’s the last bonus video from Have Guitar! – all part of the one year jubilee, it’s been one year since I published the first Kemper Rig Showcase here at Have guitar! Hope you like the video and if you do please subscribe to Have Guitar for more guitar related videos! There’s a new video out every thursday! Not sure what you think but I’d say the Gibson 2018 lineup of models looks preetty sweet! And not only the Les Pauls… there’s nice Firebirds and Explorers as well. The model I’m most interested in is the Gibson Les Paul Classic Ebony, with P90 pickups. I need a new Les Paul and I want P90s… how convinient isn’t that? I hope to be able to showcase one of those at Have Guitar! as soon as possible. Here’s a showcase of some of those beautiful 2018 Les Pauls from Gibson on cortesey from Musician’s Friend !